Reginald John Culverwell was born in Long Crendon on 27th December 1893 where his father George was a farm labourer, and later coachman. His mother was Sarah Ann Culverwell (nee Kirk). John was a pupil at Lord Williams’s school in Thame and in 1911 he was studying to be a teacher. 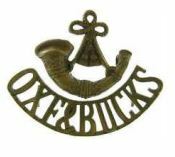 He enlisted with the 4th Battalion Oxf & Bucks in late 1913/early 1914, service number 1958. At that time this was a territorial battalion, but in August 1914 it was fully mobilised as the 1/4th Battalion, and spent the next few months training near the village of Writtle in Essex, before embarking to France in March 1915 with the 145th (South Midland) Brigade. In August 1915, the battalion was in trenches at Hebuterne, a few miles north of Albert. Reginald, at that time serving with “D” Company, was wounded by a shell, reportedly struck by shrapnel as he was entering a dugout. 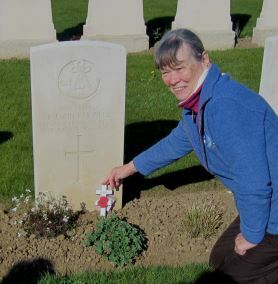 He was taken to the 2nd South Midland Field Ambulance, where he died of his wounds on 17th August 1915. Being unmarried, his accrued pay and war gratuity, totalling £10 10s 8d was sent to his father. He is buried at the Louvencourt Military Cemetery, Somme, France and his name is on the war memorials at Nether Winchendon and Long Crendon. In Thame, he is remembered on the Lord Williams’s Grammar School memorial board.